Two leftovers. The two Famous Fiction Sundays were scanned when I was doing the Famous Fiction stories by Chad Grothkopf. Although these are credited to him as well, he had already left the strip by then and was replaced by someone with a duller, more common style. 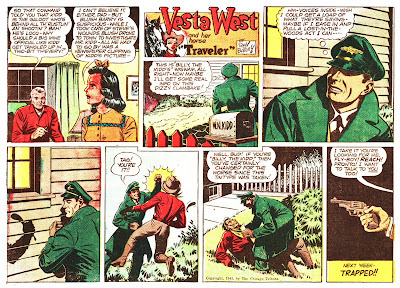 The three Vesta West strips after that are more interesting. Vesta West was started by Fred Maegher, who would later find comic book fame as the artist of Straight Arrow. 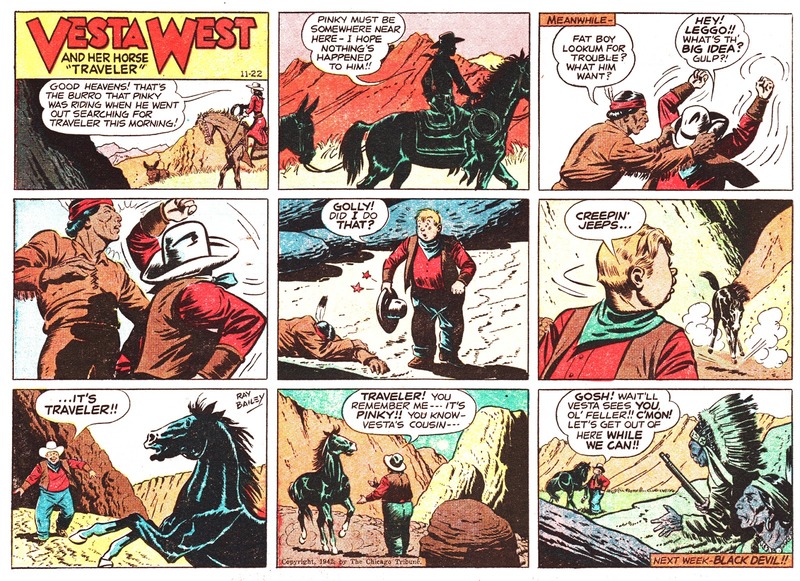 He was followed by Ray Bailey, whose work on this strip, Bruce Gentry, Tom Corbett and on to comic books has been documented on this blog exstensively. In these three samples, we can see his progress as an artist in the early forties. 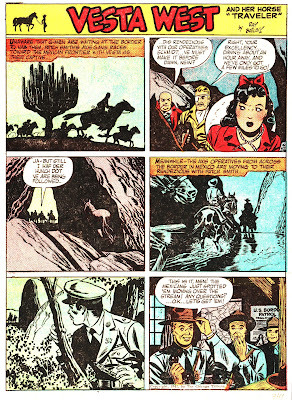 Baley started out as an assistant to Milt Caniff (and as such even contributed a lot to his work and style in the mid forties). If I ever do a book on Caniff followers and imitators it will be to give artists such as Bailey their moment in the sun. I could swear the signature on the "Jekyll and Hyde" sample is that of Barye' Phillips, a prolific painter of paperback covers in the 1950s and 1960s. 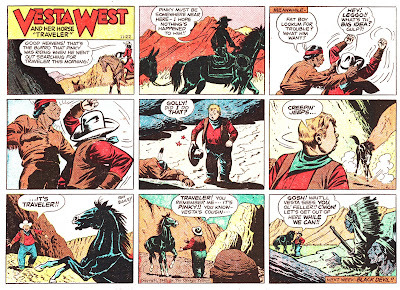 I've never seen any mention of Phillips doing comics work. It could be him, though. The scant biographical info I found says he started in Columbia Pictures' advertising department in the 1940s and produced training booklets during WWII.